Thank you for choosing our Microtel Inn and Suites by Wyndham hotel. Microtel Inn and Suites is an award-winning hotel brand with over 300 locations across North America and the Philippines. 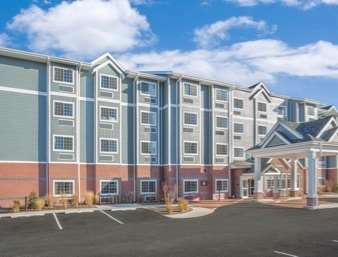 Microtel Inn and Suites by Wyndham is the only prototypical, all new-construction brand in the economy segment. Positioned in the upper end of the economy segment, all hotels offer complimentary continental breakfast, free wireless high-speed internet, and free local and long distance calls within the continental US. Many hotels also offer meeting rooms, pools and fitness centers. ~27 miles from Ocean City. ~48 miles from Ocean City. ~63 miles from Ocean City. ~71 miles from Ocean City.